I remember a lecture that Ken Ham gave where he reasoned from accounts of people of great size, photographic memories, and other talents that very few people have, Adam would have been a composite of all of them. After all, he was made flawless and sin had not entered the world and begun genetic degradation. Some of those abilities must have lingered through the ages. 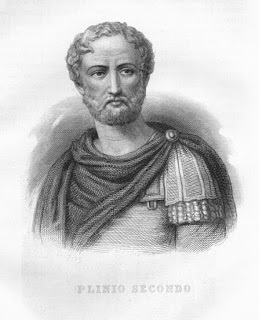 In fact, Pliny and others have given some interesting historical accounts of people with not only strength, but mental agility, memory, endurance, vision, and more. It has been over 6,000 years since God created Adam and Eve. Because of the Curse, we have suffered and changed greatly. We do not have detailed records concerning the abilities of man when God created Adam. However, the Romans were very accurate at recordkeeping and give us a glimpse at what a few men could do as little as two thousand years ago. Let’s take a look at some of the abilities of men at that time so that we can get a better idea of the fantastic abilities God bestowed on Adam and his descendants in the beginning. To read the rest, click on "What Were Early Post-Flood People Like?" You may also be interested in Dr. Robert Carter's lecture on genetics, "The Non-Mythical Adam and Eve".